The Grand Total for all of the projects is $10,395. 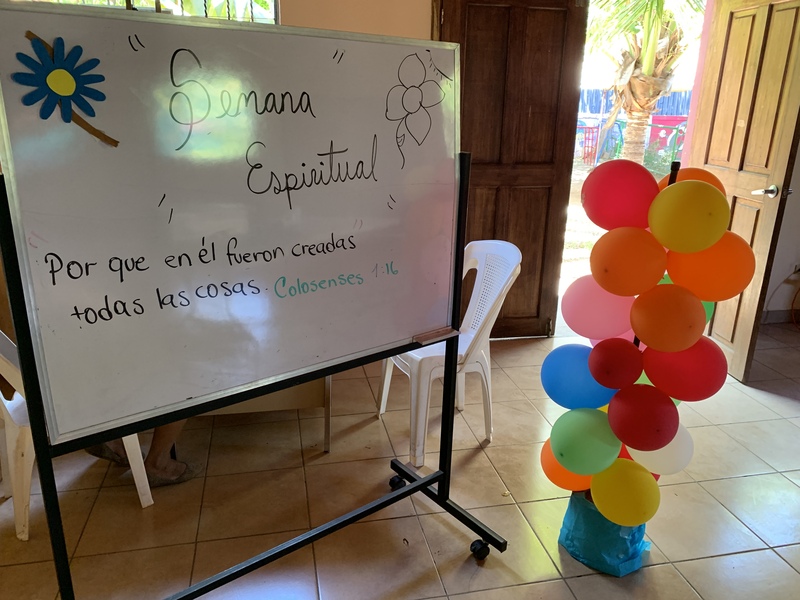 We really appreciate your support and interest in Club Esperanza…please join us as we are praying for a great 2019 School Year!!! Check out all of the fun photos from our Christmas party…there was a huge meal together, gifts for ALL OF OUR STUDENTS, Christmas performances by some of our kiddos, and a wonderful time together…we even had a clown! Thank you for all of your prayers and support during this past school year. We hope that you will continue to follows news from, financially support and pray for this great ministry center that the Lord has planted right in the middle Managua…Thank you! We had our graduation last week at Club Esperanza. These little faces are the future of Nicaragua…a country that is hurting right now. The 2018 school year was such a difficult one, but we trust in Jesus and know the future is bright! Thank you for your prayers all year long for these little ones! We are proud of them all! If you would like to give towards their Christmas gifts for our Christmas Party next week please click here and donate as much as you can! #GivingTuesday – Christmas Presents for our kiddos! Every year we hope to have enough presents for all 300 students at Club Esperanza for our end of the year Christmas Party. If you are looking for a way to give this #GivingTuesday a $15 donation would really bless one of our precious kiddos with a Christmas present at our annual Christmas Party! Bless one, bless two, maybe a few….or be like Oprah “Christmas gifts for everyone” LOL! God Bless from all our our Club Esperanza kiddos!!! This past week I happened to be there when we were serving “Sopa”! Look at that soup! This is what I mean by amazing, it isn’t just rice and beans with some water that we serve every day…it is chunks of meat and huge vegetables. A full healthy meal that will allow our kids to grow big and strong in a way that will help them to have a chance to be successful in life, Amen! Keeping this kitchen running and clean takes a lot of effort and man power. It also requires our constant attention and the need to make improvements. Check out our most recent improvement….splash subway tile throughout the entire kitchen! This is gonna keep things sanitary and SO MUCH EASIER to clean! Praise Jesus! 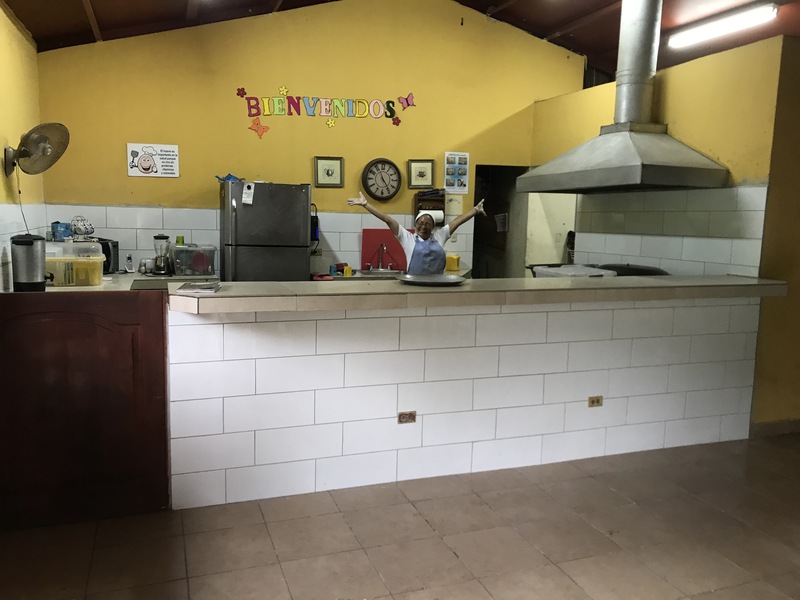 Please keep praying for all the children who are growing up with us at Club Esperanza. Jesus told his disciples “you give them something to eat” when they had nothing to give. They obeyed and ended up feeding five thousand. (The Gospel of Mark Chapter 6) We don’t feed five thousand but we see the the Lord’s miracles every day that we are able to serve a meal. We stay obedient to His calling at Club Esperanza and the Lord always provides! Amen.